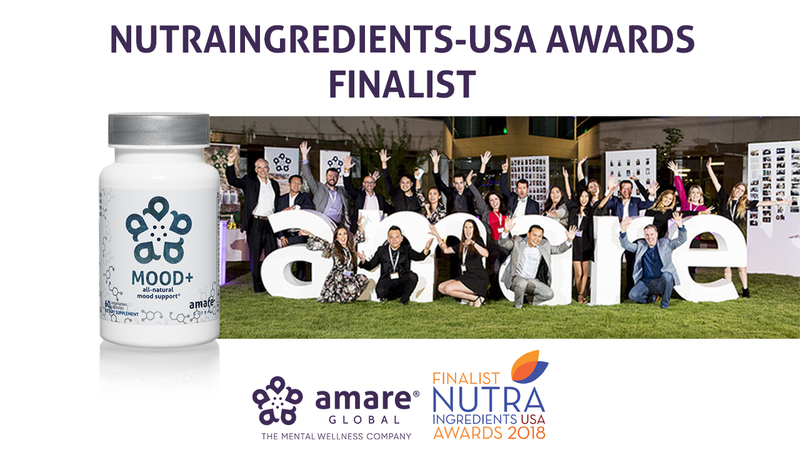 July 2, 2018 Amare Global Nominated for Two Awards by NutraIngredients-USA Amare Global is a finalist in two categories in the NutraIngredients-USA Awards: Start-Up of the Year and Botanical Product of the Year. March 14, 2018 Amare Global's FundaMentals Pack Wins 2018 NutrAward for Best New Finished Product Amare Global's flagship gut-brain axis empowerment system, the FundaMentals Pack, won the prestigious 2018 NutrAward for Best New Finished Product. The award was presented at the NutrAward Reception, Thursday, March 8th, during the Engredea and Natural Products Expo West 2018 in Anaheim, Calif. (USA). February 20, 2018 2018 NutrAward “Best New Product” Finalist The FundaMentals Pack, Amare Global’s flagship gut-brain axis empowerment product system, has been selected as a NutrAward finalist in the Best New Finished Product with a Functional Ingredient category.